Snezhana Semenov, of Dana Point, and Matthew Tinnes, of Laguna Niguel, will appear in Orange County Superior Court on December 13, 2017, in an ongoing case where they face felony charges of receiving stolen property and practicing medicine without a license. Investigators from Operation Safe Medicine in the California Department of Consumer Affairs’ Division of Investigation’s Health Quality Investigation Unit, worked with the Orange County Sheriff’s Department after a medical device was stolen from another medical spa and traced to New Way Beauty in Laguna Niguel. Semenov owned and operated New Way Beauty in Laguna Niguel, where Tinnes was employed. Investigators conducted undercover operations and found that Semenov and Tinnes allegedly represented themselves as Registered Nurses and offered to perform laser treatments for hair removal and melasma, a skin discoloration. Neither Semenov nor Tinnes have professional health care licenses. Semenov and Tinnes were arrested in May and the charges were filed in July. Both have pleaded not guilty to the charges against them. Their preliminary hearing is scheduled to begin in January 2018. The California Department of Consumer Affairs’ (DCA) Division of Investigation (DOI) serves as the law enforcement arm of DCA. DOI protects California consumers and licensees by investigating violations of California’s law, regulations and professional standards. Established in 1961, DOI provides law enforcement investigative services that focus on consumer protection for the boards, bureaus, programs, committees, and commissions within DCA. 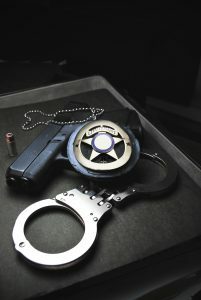 DOI is unique from other law enforcement units because of the type of work assigned and how that work is executed. Additionally, DOI appreciates what is most important to their employees and promotes a healthy work-life balance that does not include rotating assignments and rarely includes evenings or weekends. DOI is actively recruiting for positions throughout the state. For individuals at the beginning or middle portion of the career ladder, including those considering a second career, DOI may be the right fit for you. To learn more about DOI, watch the following video or visit their blog site at dca-division-of-investigation.blog. A licensed physical therapist and her son, who holds no license, have been charged with felonies after allegedly receiving $4.5 million from insurance companies for false claims. Paula Skinner, of Glen Ellen, and her son Matthew Skinner, of Pleasanton, have each been charged with 34 felony counts related to crimes that allegedly occurred at their South San Francisco businesses, Pacific Occupational Health Clinic and Action Therapeutics. The pair will appear in San Mateo County Superior Court on September 29, 2017, to set a date for their upcoming preliminary hearing. The Skinners have each been charged with 10 counts of preparing and filing false insurance claims, 10 counts of conspiring to make fraudulent insurance claims, 10 counts of grand theft, and four counts of practicing medicine without a license. Most of the charges include enhancements because the crimes were aggravated white collar crimes with excessive losses. The criminal complaint filed by the San Mateo County District Attorney’s Office alleges that between 2010 and 2017 the Skinners committed crimes against Liberty Mutual, Traveler’s Insurance, Hartford Insurance, State Compensation Insurance Fund (SCIF) and Intercare Insurance. 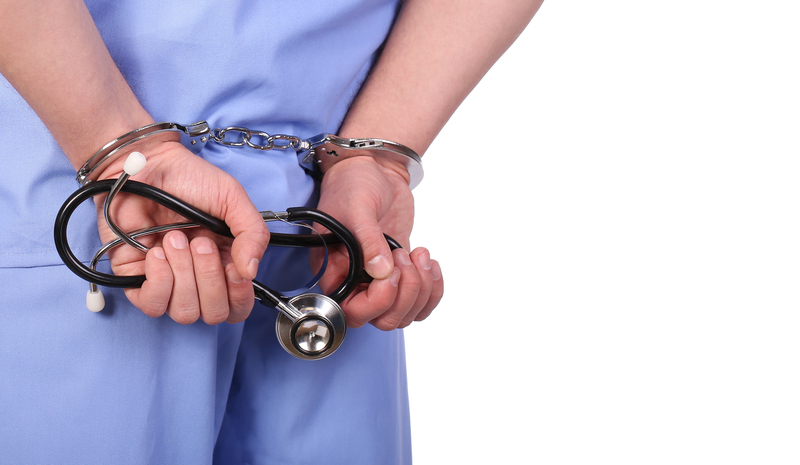 Since their arrests, more insurance carriers have come forward to report additional losses. It is alleged that the Skinners billed over $15 million and received payments of over $4.5 million. The investigation found that the Skinners co-owned and operated Pacific Occupational Health Clinic as a medical corporation. Medical corporations must be majority-owned by physicians and laypersons cannot have any ownership. The Skinners allegedly hired physicians to act as the medical directors of Pacific Occupational Health Clinic, but the Skinners continued to run the business, including hiring and firing the medical staff and making medical decisions for patients. Pacific Occupational Health Clinic specialized in treating injured workers and billing worker’s compensation health plans. The Skinners also allegedly referred patients to their other business, Action Therapeutics, for unnecessary physical therapy and chiropractic care. The charges are the result of an investigation conducted by the San Mateo County District Attorney’s Office, with assistance from the Department of Consumer Affairs’ Division of Investigation (DOI), and the FBI. Investigators from DOI’s Investigation and Enforcement Unit, DOI’s Enforcement Support Unit, DOI’s Health Quality Investigation Unit and Operation Safe Medicine worked with San Mateo County District Attorney inspectors over the course of several months. Paula Skinner’s physical therapy license is currently inactive. The Physical Therapy Board of California is reviewing the case and will take disciplinary action against her license as appropriate. Any insurance company that believes it was a victim of the Skinners is asked to contact San Mateo County District Attorney Inspector Steve Sysum at (650) 877-5446. Licensed vocational nurse Michael Anthony Larkins, of Clovis, was arrested June 9, 2017, on one felony charge of theft from an elder adult. Larkins’ alleged crime was discovered when a credit card company reported suspicious credit card activity to the California Department of Consumer Affairs’ (DCA) Division of Investigation (DOI). Investigators from the Division’s Investigation and Enforcement Unit, Central Valley Field Office, learned that Larkins used a credit card belonging to a 92 year old patient who lived at the acute care center where Larkins worked. Larkins is believed to have used the credit card to withdraw money from ATMs 11 times over a six day period in October 2016 and to make online purchases four times in the following two weeks, resulting in over $3,000 of fraudulent charges. DOI investigators obtained surveillance video showing Larkins using some of the ATMs where the money was withdrawn. The Fresno County District Attorney’s Office charged Larkin with one felony charge of theft from an elder adult. DOI investigators booked Larkins into Fresno County Jail without incident and he was arraigned on June 23, 2017, when he pleaded not guilty to the charge. His next court date is scheduled for July 28, 2017. The Board of Vocational Nursing and Psychiatric Technicians have completed a review of the case and are pursuing disciplinary action against Larkins’ license. A West Hollywood man has been arrested on suspicion of identity theft after he was found impersonating a registered nurse.